Buying a diamond involves a lot of research and legwork, but is no rocket science.  No doubt, you will be confronted with an array of diamonds when you enter a jewellery store, but once you understand the universal language of diamond, you will be well equipped to purchase one. Diamonds have over time become every girl’s favourite and today, it is the most sought after and valued gemstone for engagement rings. Though overwhelming at first thought, the experience of buying a diamond can be made pleasurable and enjoyable if a step by step guide is adhered to. Answering some of the basic questions is the first prerequisite as it will help you channelize your search for a diamond. Determine an amount that you can comfortably spend. You do not have to pay heed to what a particular culture or society follows with respect to the amount that needs to be spent on a diamond. Set your budget, according to your convenience and feasibility. Never go out of your comfort zone. What type of diamond Shape she likes? Another important aspect which you need to consider is her shape preference. If the diamond you are planning to buy, is for your would-be, it is necessary to have some idea on the diamond shape she is expecting from you. Everybody has their own likes and dislikes and hence, gathering the required information can help you narrow down your search big time. You can start by consulting her friends. What is the Diamond Carat she is expecting? It is good to know her expectations on the diamond carat. If she was expecting a 2 carat diamond from you, even a beautiful 1 carat diamond will disappoint her. So whilst trying to gather information on her most preferred diamond shape, simultaneously try and gather information on the diamond carat she is expecting from you. Once you have formed a general idea of the above mentioned points, it’s time to educate yourself on the 4 C’s. The 4 C’s of Diamond: The 4C’s from the diamond dictionary is what can be termed the universal language of diamond. It is of utmost necessity to enlighten yourself on each of the C’s of diamond as they are the main factors via which a diamond is evaluated. Carat: Carat means the weight of the diamond. Higher the diamond carat, more will be the price. This is because large diamonds are rare. Two diamonds of the same carat can have two different prices due to factors like cut, color and clarity. Certification: Last but not the least, diamonds should be certified and should preferably be from an unbiased and recognized source like the Gemological Institute of America (GIA), American Gem Society (AGS) or HRD (popular in Europe).